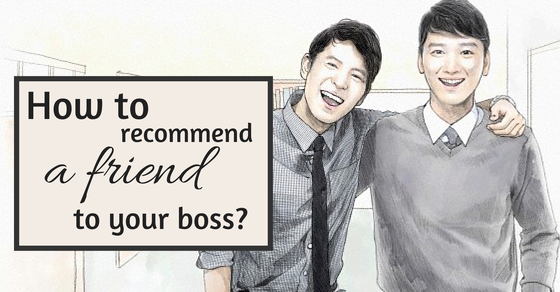 One of the best ways to help a friend land a job is by recommending him/ her to your boss. Putting in a good word for your friend at your company can increase the chances of him getting that job. How to Recommend a Friend for a Job? 1. Is your friend qualified enough? Make sure your friend is qualified for the job positions your are recommending him for. It is best for you to glance through his resume before handing it in and make few corrections on resume if needed. Point out the fault if found in the resume to your friend and have him correct them. 2. Is your friend interested in the job opening? There is no point in sending his resume to your HR only to find out later that he was not very enthusiastic about taking up the job in the first place. Ensure that he is interested in the job and that he is looking forward to applying. 3. 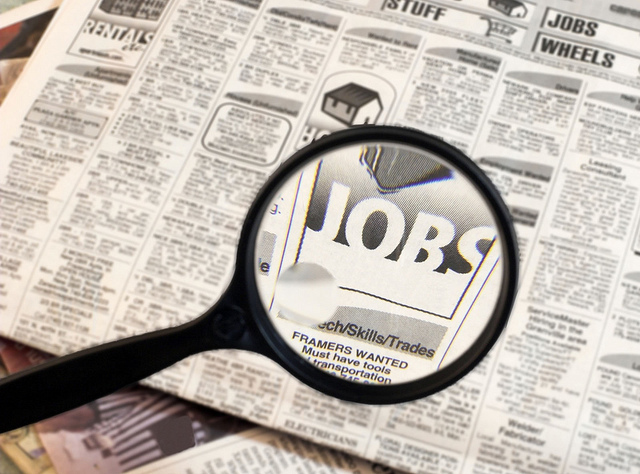 Is your friend’s work history compatible with the job position? Make sure your friend has an idea of what job position he is applying. It is best if he has any experience in the relevant field and even better if he has worked in the same job position before. 4. Why did he leave his last job? If he was let go due to his amoral activities in the office such as sexual harassment, poor work ethics etc, you might want to refrain from recommending him. If he left the job on his own accord, then he must have a valid reason for doing so. It works in his favor if he can get a few references from his previous boss if he left the job on good terms; this will surely score him brownie points. 5. Will your friend be comfortable working in your company? This is very important. The employers expect their staff members to retain their position for a significant period. If your friend is not comfortable working in the company, he might leave it sooner than expected. Make sure your co-workers and the office environment suits his work style. 6. Will you be comfortable working around your friend? Make sure that your fiend does not have an uncanny knack for calling out on your or pulling your leg when he is around. Your work place is supposed to be where you can work in peace, and your friend might just be a distraction and might create problem for you and himself. 7. Will he be an asset to the company? Your friend must be able to work for the benefit of the company, this is what an employer looks for from every employee and your friend is no exception. His work ethics should comply with those of your co-workers and he must be interested in his job. 8. Does the company benefit your friend? This includes the company benefits such as salary and other benefits, and if the company will foster his professional growth. Learn about your friends goals for the future, and assess if this new job will help him achieve that. This again plays an important part, depending on if your friend is a mere acquaintance, if he / she is a close friend, or if you two are linked romantically. Different relationship status can have different impact on both of you working in the same environment, which can be either a boon or a bane for the company and you. 10. How well do you know your friend? You might know your friend very well socially, but you have to know him professionally as well if you plan to recommend him for a job. Ask him as many questions as you need to, it will help you gauge his professional abilities and will only help you pitch him better to your boss. 11. How will this affect your job reputation and your relationship with your friend? Recommending your friend will also affect your reputation at your job. If your friend does not match up to the expectations of your boss, your boss might be skeptical of your recommendations in future, and it may irk your boss. On the other hand, if your friend fits into his job role perfectly, you might get yourself into the good books of your boss. If your reputation in the company is spotty, you might want to work on yourself first before your recommend your friend for a job. Recommending your friend despite your shady reputation might hamper his chances of getting a job. 13. How have you projected your work experience ? You might have exaggerated a bit about your work experience (do not worry, everyone does that) to your friend. Take some time to explain to him how your company works, and what they expect out of the employees. This will help remove any unrealistic expectations your friend might have about the job. 14. Does your company have an opening? Make sure that your company is hiring before you proceed to refer your friend. Your referral might mean nothing if the company does not have any vacant positions (especially ones your friend is qualified for). Forward your friend’s resume with a brief note of recommendation to your HR. Keep it simple, and to the point as to why you think, your friend is suitable for the job position. 16. Do not meddle with the hiring process! Your work ends at recommending your friend to the available job. You do not have to pester the HR or the boss to consider your friend, or to give him any special attention. Over doing this can actually turn the recruiters away from your friends’ profile. Keep pet names to your private conversations. Always use his/ her full name and project him as professional rather than as a friend when recommending a friend. Refrain from giving out irrelevant information/ personal stories involving your friend. Your friend might be a fun person to hang out with, but remember that you are recommending your friend for a job and talk accordingly. It is better to tell the recruiters about everything you know about his previous work and other details honestly. Twisting the truth for his benefit can bring you a bad name in the company, and might hamper the company’s growth. 20. What if your friend doesn’t get the job? Sometimes you might find that your recommendations may not work, or that your friend is not suited for the job opening in your company. In which case you will be better off being honest and telling your friend about it.